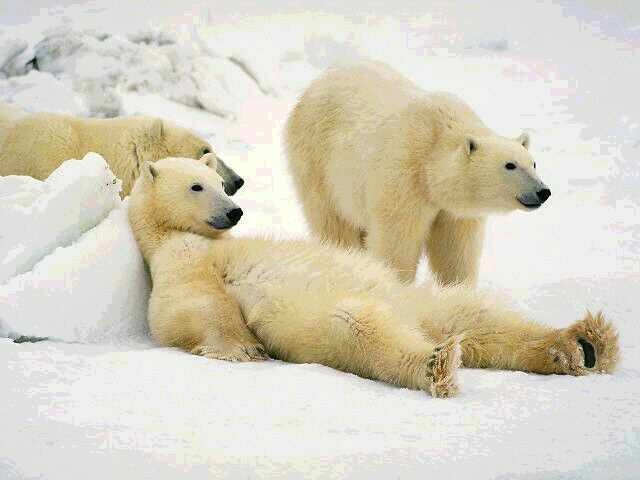 Classified as marine mammals, Polar bears spend most of their lives on the Atlantic Ocean’s sea ice. Polar bears spend over 50% of their time hunting for food, however only 2% of their hunts are successful. The biggest threat to the survival of Polar bears is the loss of sea ice habitat due to climate change. Other important threats include over-harvesting, industrial impacts and human-polar bear conflicts. The latest data from the IUCN Polar Bear Specialist Group shows that Polar Bears face a high estimated risk of future decline, because of climate change. 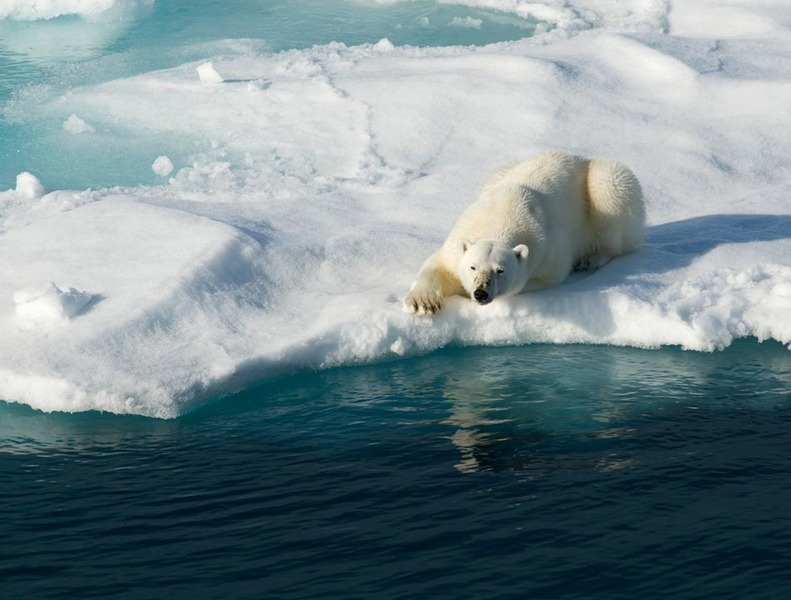 Climate change leads to the ongoing loss of sea-ice habitat, which resulted in Polar Bears being enlisted as a threatened species under the Endangered Species Act in May 2008. Polar bears play a very important role in the overall health of the marine environments, as they are at the top of the food chain. Their existence depends upon sea ice: they are then directly impacted by climate change. Polar bears therefore serve as an important indicator species. Climate change forces polar bears to spend much more time onshore. They then come into contact more regularly with Arctic communities. Unfortunately, these interactions usually end in polar bear- human conflicts and sometimes end badly for both the bears and the humans. In the Arctic, most industrial development has only been on fairly small pieces of land. A new ocean is emerging with the retreating of the summer sea ice, this allows for more opportunities of industrial development at sea and on larger sections of land. 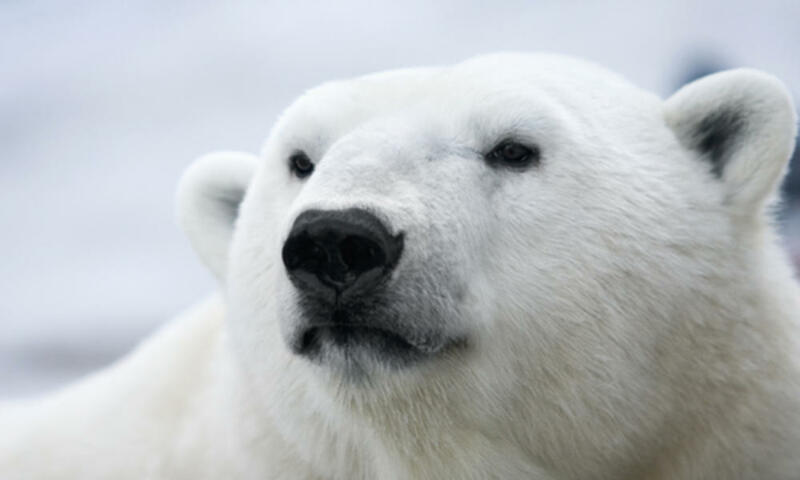 However, the retreating sea ice causes polar bears to spend longer periods on land for denning. This all places industrial activities and polar bears on a potential collision course. Offshore petroleum operations and installations are predicted to increase in number. It is highly likely that this will affect polar bears and their habitats in several ways. This includes polar bears coming into contact with spilled oil (which would be fatal), an oil spill affecting the entire food chain, and there would be disturbance from noise generated from onshore and offshore oil operations. An increase in Arctic shipping would also represent a threat to polar bears. If traffic by oil tankers, cargo ships and barges increase in Arctic waters, so would the risk of oil spills and human disturbance increase. Climate change poses the biggest threat to polar bears. Polar bears rely on the sea ice, on which they can rest, breed and hunt seals. The shorter sea ice season has reduced the length of time the bears can hunt for their prey. Polar bears end up spending the summer without enough feeding, so they have to rely on fat stores from the previous summer in order to survive. Many polar bears face malnutrition and possible starvation, particularly females with cubs. In order to effectively address and mitigate the effects of climate change on polar bears, there must be a strong global response to address the challenges of global warming. 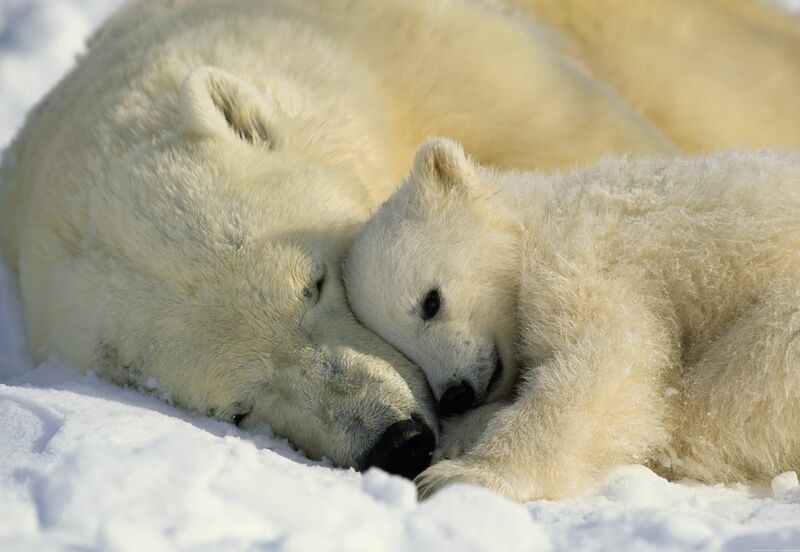 WWF has successful instigated the creation of a global management plan for polar bears. For more information about what WWF is doing, please click Here. Many Arctic areas have effective polar bear monitoring and management plans. However, unsustainable hunting still seems to be happening in some places. Scientists are presently monitoring the movement and weight of polar bears in the Arctic. They are working towards understanding the impact of different threats, such as the expansion of Arctic industry and climate change, and the effects that they have on different polar bear populations. By tracking polar bears, scientists are able to map their range and observe how habitat may change over time concurrent to changes in sea ice, and therefore examine how polar bears change and adapt to this. It must be ensured that whatever industrial development takes place in the Arctic is sustainable, and that it does not further damage ecosystems and wildlife populations. Fortunately, there is collaboration between conservationists, scientists and local people in opposing gas and oil development in regions that are too ecologically vulnerable to be exposed to possible spill risks. There is also work in preparing Arctic sensitivity maps, to help maritime vessels stay clear of ecologically vulnerable places. This video shows the Umky Patrol: Sharing knowledge about polar bears across the Arctic.